Ancient star readers are amazed by a conjunction of wandering and royal stars, and connect the mysterious event with a long-ago prophesy by an exalted member of their order. Their quest to uncover this mystery becomes a dangerous marathon into a slave empire. Deceit surrounds them and a frightening entity haunts them. The journey carries the star readers through storms, battles, crossroads and palaces before finally leading them to a one-room mud hut in an insignificant village. Darker questions then confront them. Meres, a young man of noble birth, and Jenu, a servant-healer, are swept up in this quest, and it changes their destiny. What they witness will change the world. An innovative re-telling of the journey of the wise men to Bethlehem. 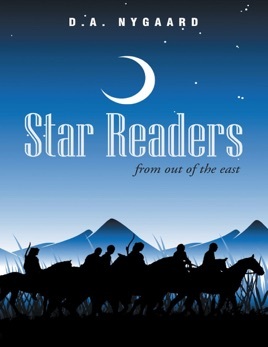 Respectful of the ancient text and historically accurate, Star Readers offers a logical rationale behind one of the world’s most mesmerizing stories.